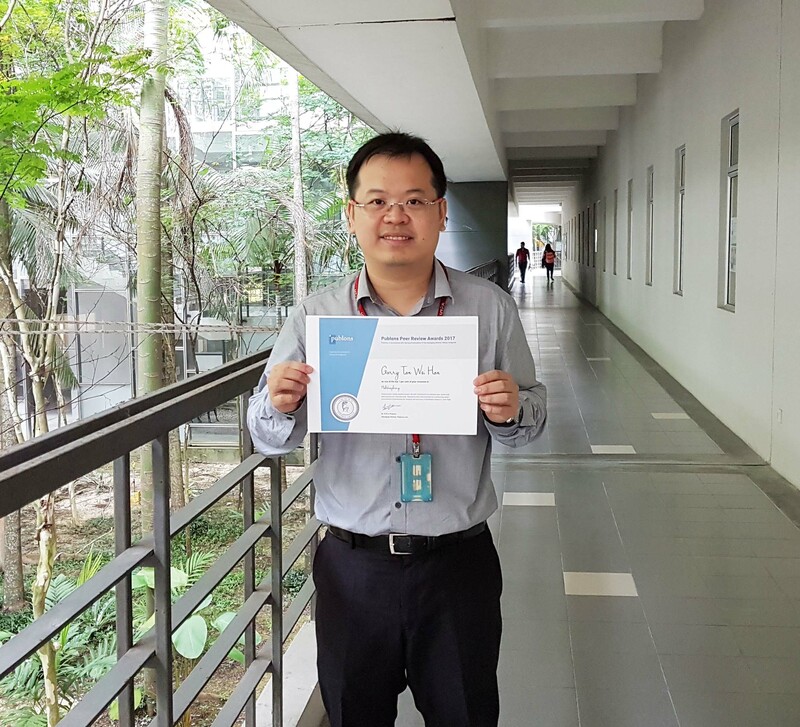 Faculty of Business and Finance lecturer Garry Tan Wei Han was recently awarded the “2017 Publons Peer Review Award” in which Tan was listed among the world’s top 1% reviewers in the field of “Multidisciplinary”. He was awarded for his contribution to scholarly peer review and the number of pre-publication reviews that was completed. Tan’s reviews and efforts were deemed vital for defending the quality of science and research. Under the “Top 1% in each field” category, the top 1% of reviewers in each of the 26 “All Science Journal Classification” (ASJC) research fields is recognised. Rankings are calculated by the number of verified pre-publication reviews performed and added to Publons between 1 September 2017 and 1 October 2017. Currently, Tan has reviewed a total of 100 pre-publications, with most of the reviewed published under the “International Journal of Modelling in Operations Management” followed by “Emerald Emerging Markets Case Studies” and “Industrial Management and Data Systems” Journals. “Reviewing requires a lot of time as you are required to suggest improvements and make recommendations to the editor whether to accept, reject or request changes to the research article, but the reward is worthwhile. A good review helps research to gain recognition by editorial board members. It also provides the opportunity to update one’s knowledge on the latest research area, model and statistical analysis before everyone else. You may also receive invitations to speak at conferences or academic events,” said Tan, who was recently invited by Emerald Publishing Limited (United Kingdom) to be a guest speaker at the “Inaugural Review Writing Competition”, held at UCSI University, Malaysia. Tan was also named as an Outstanding Reviewer for the Journal of Industrial Management and Data Systems in the Emerald Literati Network 2016 Awards for Excellence. He also serves as a reviewer for various international journals indexed in Thomson Reuters (ISI) from renowned publishers such as Emerald, Sage (United Kingdom), Elsevier (Netherlands), Taylor and Francis (United Kingdom), IEEE (USA) and Inderscience (Switzerland). His area of research focuses mainly on the behaviour of consumer in the adoption of mobile commerce, such as mobile advertising, marketing, entertainment, healthcare, learning, shopping, tourism and social networking.